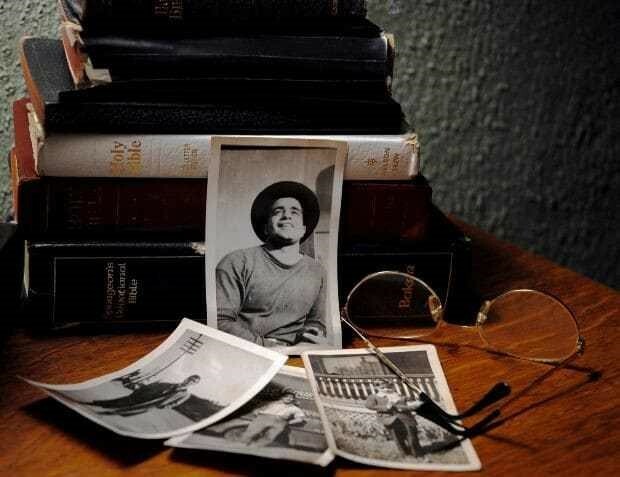 Sometimes as we research our family history it is easy to get so caught up in collecting all the details about our ancestors that we forget the other important side of family history – sharing it with family members! If you have a closet overflowing with old documents or a database full of facts, and you decide you’d like to share what you’ve learned with others, it can be overwhelming to know where to start. It can also be confusing to find the best way to share the information you’ve spent so much time gathering. If you’ve ever caught yourself telling family history stories to a non-genealogist and suddenly realised they had been staring at a spot over your shoulder for the past five minutes, you’ll have already learned that it can be difficult to present it in such a way that others can absorb and appreciate. While online trees and photo pedigree charts have their place, the best way to tell the story of your family is to write it. A written family biography can be much more interesting to other family members than raw genealogical data, while still incorporating all the details that you have painstakingly gathered over the years. The key to a good narrative family biography is finding the right balance between simplicity and detail. First, begin by narrowing the scope of your written biography to something that is both manageable to write and to read. If you want to bio several key ancestors in your family tree, consider choosing one ancestor to get started with, or even just a portion of one ancestor’s life. A surname lineage can be more easily tackled three generations at a time. To conquer your entire tree, divide it up into more reasonable sections. For example: paternal grandfather’s ancestry, paternal grandmother’s ancestry, maternal grandfather’s ancestry, and maternal grandmother’s ancestry. As Legacy Tree researchers, we often approach our largest research projects this way, and it creates a nicely organised and easily followed finished product. In addition to identifying the scope of your written narrative, it helps to determine which direction you will be going – forward in time, backward in time, or a combined approach. For biographies on one person, it is usually common to begin with the ancestor’s birth, continue throughout his life, and end at his death. However, it may be more interesting to begin with an important event later in his life, then return to the beginning of his life later. For large narratives on extensive families, we find it is often best to begin at the most recent ancestor as an adult and work backwards chronologically to their parents, grandparents, and so on. For online documents, you can keep a list of links handy to quickly pull up a document when you need it. If you do this, don’t wait too long between the time you set up the list and the time you write because online links can change; always keep a copy (digital or paper) of the document itself as well, with a reference to where it was found. If you prefer to work from paper documents – as many genealogists do – be sure to keep them organised in labeled folders that you can easily find and access when writing about the ancestor or event. It is also a good idea to transcribe old handwritten cursive documents into a printed font which can be read and referred to much more quickly. Another helpful tool we’ve discovered is the Ahnentafel print feature available in most genealogical database programs like Legacy Family Tree and Ancestral Quest. Although the computer-generated report that is produced is so dry that nobody but a die-hard genealogist will read it with any enthusiasm, it can create a very helpful outline for writing large family narratives. After entering all your information into the database, or importing a GEDCOM from your MyHeritage.com or Ancestry.com tree, all you have to do is print the Ahnentafel and the information is organised and ready to use. If you print it to a PDF you can even copy and paste the basic text to use as an outline and then add in stories and details to make it interesting. Finally, in order to produce a good family narrative that will be read and cherished for generations, we strongly recommend brushing up on your writing skills. Take a creative writing class at your local community college. Read some good biographies on historical figures or your favorite author. Or, if you are not sure your writing skills will be up to the challenge, reach out to others for help. Consider collaborating with another writer family member – you provide the research and she provides the writing skills. A college student or young stay-at-home-mother in the family may appreciate the writing experience and exposure and even a little extra income, if you are prepared to offer it. Of course, you can always turn to the professionals for help writing your family narrative. We recently wrapped up a two-part biography on a Tennessee farmer who raised his family through the Civil War years. Although he never accomplished anything of great historical significance, not even participating in the war, we were able to piece together a beautiful story of his and his family’s lives through scraps of notes, receipts, and letters that have survived through the generations. Historical records and general information about the area and time period helped provide background context and bring his world to life. Writing a family biography is one of our favorite projects to work on here at Legacy Tree Genealogists. We love searching out the details of our clients’ ancestors’ lives, and we also love bringing those details to life by telling the story. Stories bring families together, but they can’t if they are not told and shared. Although online trees are bringing more and more genealogy-minded family members together, it can be hard to find and grasp the story in the tree – especially for the rest of the family members who tend to be less interested in history. An organised, cohesive, and well-written family narrative bridges that gap, bringing the stories of our past to future generations.